From speaking out against dictators to protesting police brutality, sports have become more connected to social issues than ever. Now we can add climate change to the list. In the bottom of the third inning of Friday’s game between the Chicago White Sox and New York Yankees, a group of climate activists unfurled a large banner in the second deck of right field, asking New York City mayor Bill de Blasio to declare a climate emergency. Hey @BilldeBlasio, hope we're not interrupting this evening's entertainment, but it's time to #DeclareClimateEmergency! 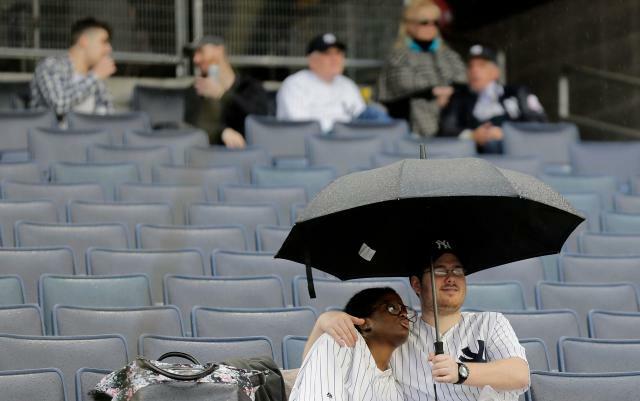 Although the banner did not stay up for long — the Yankees, like many teams, do not allow banners that are not baseball-related — the message was straightforward. The group, Extinction Rebellion, is hoping that de Blasio will join other major cities such as San Francisco and London in declaring a climate emergency. The declaration would be a largely symbolic gesture that gives "an aggressive target for reaching zero greenhouse gas emissions." While only a handful of cities have declared an emergency, nearby Hoboken, New Jersey, was the first to declare a climate emergency in 2017. Furthermore, much of the leadership on addressing climate change has originated in New York. Although the banner was reportedly met by boos, the Yankees have already chose to not “stick to sports” on the topic of climate change. Yankee Stadium resides next to New York’s 14th congressional district, which is represented by Rep. Alexandria Ocasio-Cortez. The freshman congresswoman has been the leading advocate for the Green New Deal, which calls for net-zero greenhouse gas emissions 2030.